It was a great couple of days, and I wanted to share my favorite quotes. I didn’t really take notes here either. It was really just this guy telling his story, but it was a fantastic presentation, and he has a terrific story. 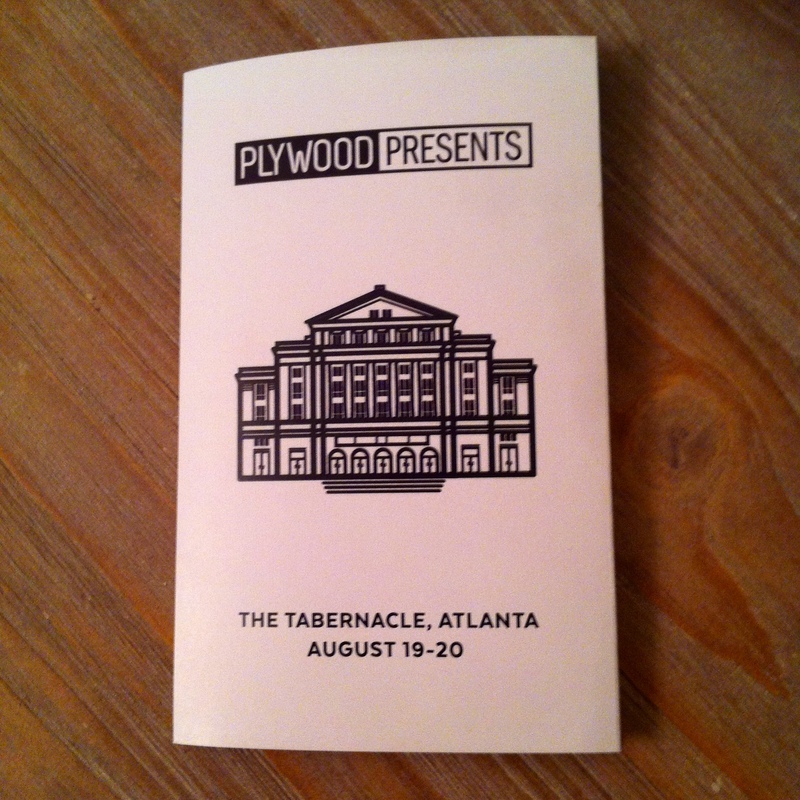 Plywood is not a Christian conference, but there are many Christians there. Jeremy’s presentation was built on how he felt like he couldn’t do anything right as a kid, but his parents instilled Philippians 4:13 into his head, “I can do all things through Christ who strengthens me.” And once that message took root, he has done some really remarkable things. I plan on getting his book called, “Margin.” Actually, all of his books sound great. Just wish they were on Audible! “There are 2 trillion URLs, 150K products in Walmart, 55K combinations at Starbucks, people check their smartphones 150x per day, and there are over 68K medical codes.” Information overload! Categories: Christianity, Fun, Learn, Live, Social Justice | Tags: alex torrey, atlanta, atlanta events, blake howard, clint smith III, conference, jeff goins, jeremy cowart, kat cole, plywood people, richard swenson, scott holfort, social entreprenuership | Permalink.